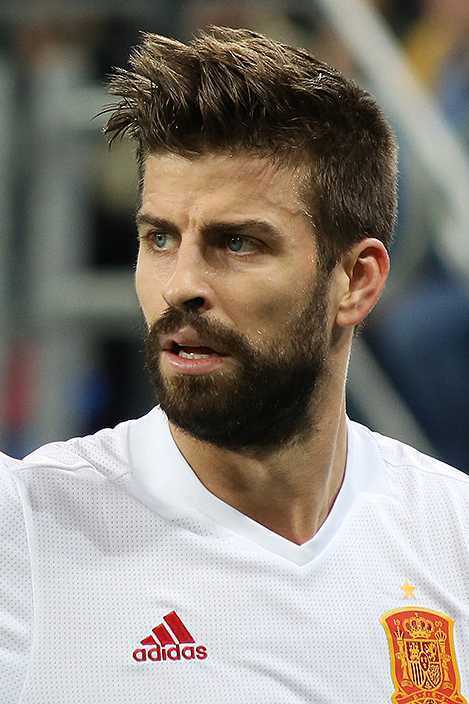 Gerard Pique Bernabeu, one of the popular professional football player is simply named as Gerard Pique who plays for Barcelona and Spain National Team. He is well known Spanish celebrity. He is famous for contribution to professional life. He is best at Centre back position. Currently, he is playing in Barcelona. He had played for Manchester United, Zaragoza. He is right foot player. His Shirt number is 3. Umtiti is one of his best teammate on the team Barcelona. He had represented himself in Russia for the World Cup 2018 as a part of the Spain national team by showing his talent to all. He was also a part of the Spanish team that won the FIFA World Cup 2010 and EURO 2012. He is very talented and skilled player. He is nicknamed "Geri". 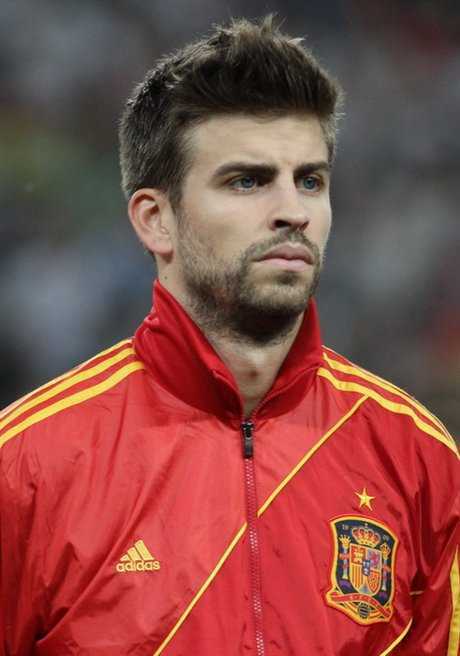 Passionate and enthusiastic player, Gerard Pique was born on 2nd February 1987. He was born and raised in Barcelona, the city of Spain. He is the son of Joan Pique and Montserrat Bernabeu, his father and mother. He also has a brother named Marc Pique. His nationality is Spanish. His astrological sign is Aquarius. His religion is Roman Catholic. At the small age, he began his career with football. Gerard has got a great personality. Talking about his body, his height is 1.93 m. His weight is of 87 Kg. His eye color is Blue and the hair color is Brown. He has a balanced body with good health. He has an attractive body figure. His smiling face and charming personality have helped him to gain the attention of all the viewers. His chest size is 43 in, Waist size is 33 in and Biceps size is 14.5 inches. Gerard signed his first professional contract with the club, Manchester United and made his debut in October 2004. Later, he made his full debut against West Ham United on 29th March 2006. His very first goal came in the UEFA Champions League with winning score of 4–0 against Dynamo Kyiv on 7 November 2007. In 12th December, his second goal came in the Champions league against Roma. Later Pique signed a 4-year contract with Barcelona, with a €5 million on 27th May 2008 and his first goal for this goal came in Champions League Group Stage against Sporting CP on 26th November 2008. He picked up the first trophy of his Barcelona career as he helped his club to a winning score of 4–1 over Athletic Bilbao in the Copa del Rey Final on 13th May 2009. Barca lifted the European Cup by defeating Manchester United with winning score of 3-1 on 28th May 2011. Later, Pique again signed a contract extension with Barcelona, keeping him till 2019. Again on 18th January 2018, he made his extension contract with Barcelona till 2022. Pique had represented himself in his national country, Spain in both senior as well as junior levels in many tournaments. He was a part of Spain U19 side that won 2006 U19 European Championship held in Poland against Scotland. He also played 2007 Fifa U20 World Cup. He was called to play the friendly game against England on 6th February 2009. He played the game on 11th February and won the game. He made his tournament debut at the 2009 FIFA Confederations Cup. He also played 2010 World Cup Final against Netherland and won the game with a score of 1-0. Later, he played UEFA Euro 2012, 2013 Fifa Confederations Cup, UEFA Euro 2016. In the World Cup 2018, Spain played against Iran and won the game with a score of 1-0. Altogether, he played 4 matches without any goal. Gerard is single. He is not married yet but he has dated many celebrities. Previously, he has dated Lisa Lazarus in 2008, Nuria Tomas from 2009 to 2011. Currently, he is dating Shakira, Colombian Singer. Gerard and Shakira met when he appeared in the music video for her single "Waka Waka" the official song of the 2010 FIFA World Cup. The couple also has two children, Milan and Sasha. They seem to be very happy with each other. The couple makes public appearances together often. There is no any sign of Separation between them. They are living peacefully. This excellent player makes good money from his work. The net worth of Gerard is estimated to have $30 million as of 2018. He is receiving an annual salary of $6.5 million from his present club. He is satisfied with his earning.